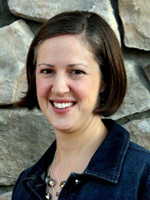 Laura Learned is a licensed speech-language pathologist. She graduated from Whitman College in 1999 with a B.A. in French literature, then received a master’s degree in Speech-Language Pathology from Idaho State University in 2005. Laura has worked with pediatric clients in outpatient clinic and public school settings who have a variety of diagnoses including autism, ADHD, Down Syndrome, and developmental delay. She provides speech and language evaluation and treatment in the areas of receptive and expressive language, social language, fluency, and articulation/phonology. Laura hails from Portland, Oregon, but has lived in Boise since 2001. Outside of NNH, she enjoys camping, hiking, and making art and music with her two young children.